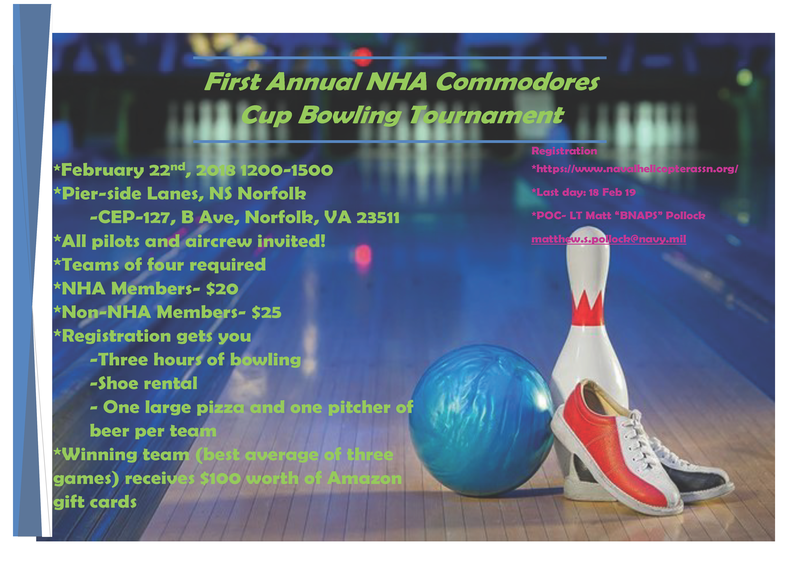 Join NHA Region 4 for their first annual bowling tournament! Details: Registration includes 3 hours of bowling, shoe rental, one large pizza and one picture of beer per team.Winning team wins $100 worth Amazon gift cards. All pilots and aircrew invited, teams of 4 required. Registration deadline is February 18, 2019.